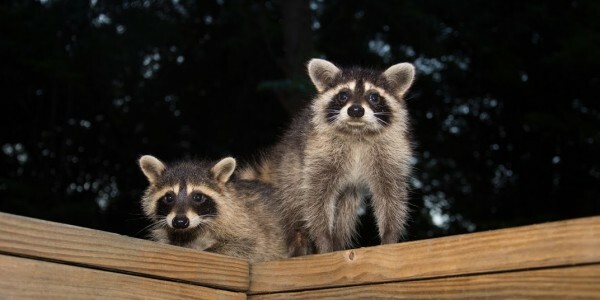 Richmond Animal Removal Services has the expertise and necessary experience to quickly, safely, and humanely take care of any unwanted raccoons on your property in the Richmond, Virginia area. This is a task that shouldn’t be taken lightly. It is imperative that you leave the trapping and removal of raccoons to the professionals. Raccoons are often considered as a nuisance to homeowners since they are known to damage newly sodded lawns, destroy crops, eat poultry, raid trashcans, steal your pet’s food, tear off boards or shingles to get into your attic or wall space, damage insulation, chew holes, and often choose to give birth and raise their young in residential chimneys and attics in Richmond VA. Please do not attempt to handle or capture any raccoon you come across, even if they appear to be orphaned, injured, or ill. Since raccoons are now accustomed to humans and urban living, their close proximity to us makes them a host for disease transmission. Exposure to rabies is the most common fear for most people when it comes to raccoons. We recommend that you avoid any animal that is acting strangely. Odd behaviors for these masked-bandits include being unusually tame, daytime activity, aggressiveness, or being paralyzed. If you, a loved one, or one of your pets have been scratched or bitten by a wild raccoon it is important that you immediately contact your physician or vet. Another health concern involving raccoons that you should be aware of is the threat of roundworms, which can be contracted to humans by those who unknowingly ingest roundworm eggs from a contaminated area. Since children will often play on the ground and unconsciously put their hands in their mouth, it is all too common that small kids become infected. Most of these roundworm eggs spread through the droppings of raccoons and can survive for years, which is why we recommend that you utilize our clean up services. 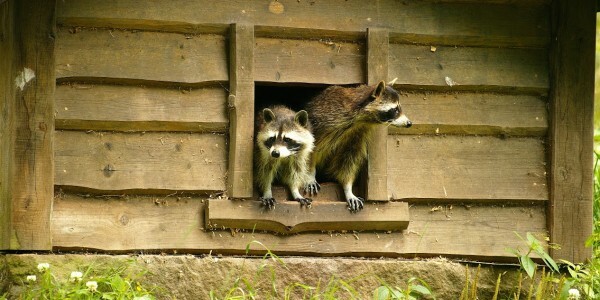 If raccoons have invaded your Richmond business, home, property, or neighborhood, call us today for a free estimate. Our team of raccoon removal specialists in the Richmond and Charlottesville, VA area will work with you to come up with the best possible animal removal plan for your specific situation.